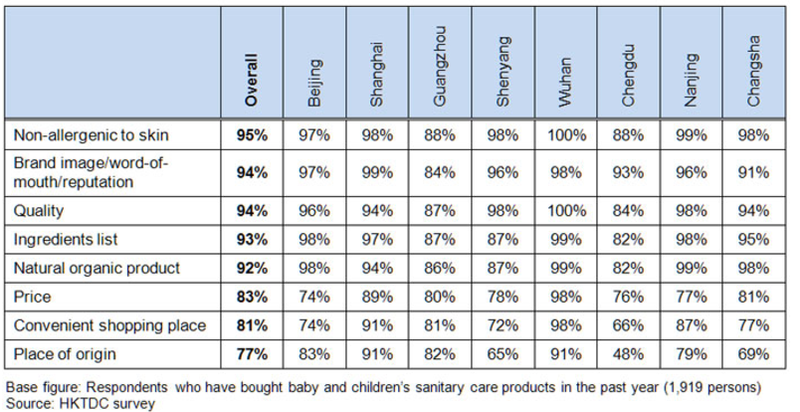 An overview of the Chinese Baby product Market and 5 business Tips to penetrate this Market. 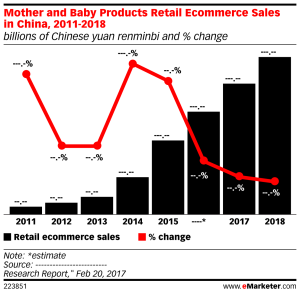 The one-child policy led in China contributed to selective and picky shopping behavior by Chinese consumers. Indeed, this policy has allowed the household to have greater purchasing power and therefore to offer quality products for their baby. The market is therefore one of the most premium markets in Asia. – China experiences a demographic imbalance between men and women of the same generation. There are not less than 116 men for a hundred women. This drastic change in China provides for a change in the structure of the market and its competitive dynamics. Currently, the impact of this law is difficult to quantify but this baby boom remains an opportunity for the players to develop their interests in the market. In five years, the baby products market has grown by more than 250%, with sales of more than $75 billion. 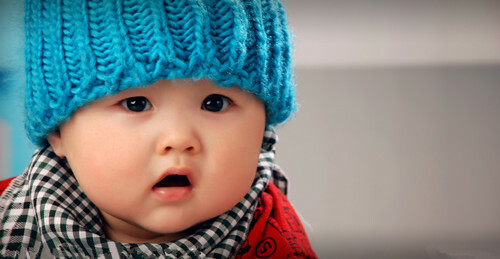 The country in 2016, recorded 18.5 million newborns of which 45% is the second child of Chinese couples. The emergence of the Chinese middle class has enabled couples and parents to have high purchasing power and to offer their children a better quality of life through the purchase of healthy products. 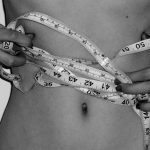 This awareness for hygiene allows the development of new product segments such as skin care, hair products and baby wipes. However, the quality of local products varies enormously so that parents can trust the actors involved. 3 segments of products pull their pins out of the game that is, clothing, toys and milk powder. Surprisingly, the penetration rate of diapers for babies is only 56% compared with a rate of more than 95% for developed countries. 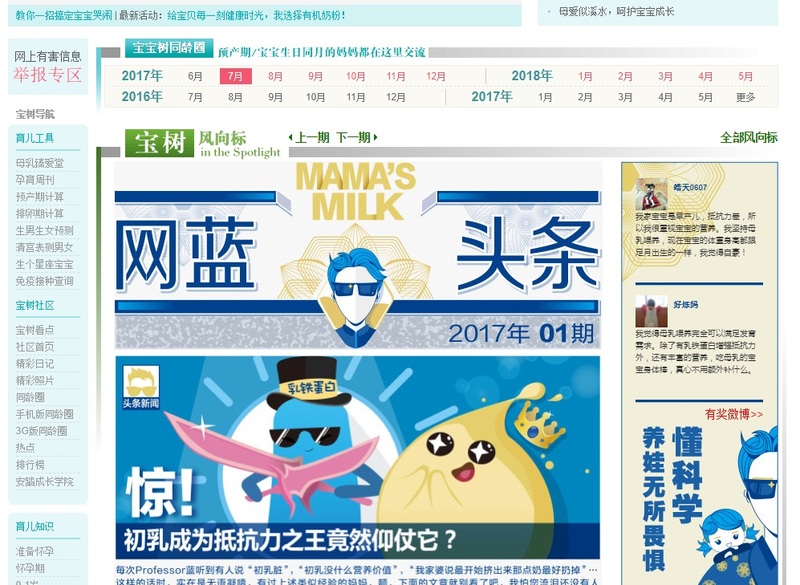 The Chinese market has experienced various scandals regarding baby products including one on infant milk has shocked the local population a lot. More than 400 infants suffered kidney stones after drinking milk contaminated with melanin. This is not the first scandal related to infant milk in the country, but it has engendered wary and savvy consumers in what they are looking for. 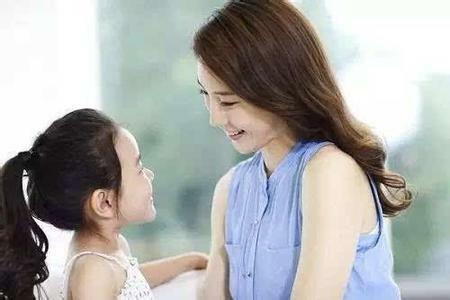 As a result, parents’ consumption behavior has changed, foreign brands have gained popularity in the country. Mothers are looking for products made from natural products that meet international health and safety standards. Foreign brands benefit from a trust and a secure image on the part of these individuals who are willing to pay more for quality and healthier products for their babies. Johnson & Johnson China has been the market leader for many years, with a market share of around 12%. The actor quickly positioned himself on the market which allowed him to enjoy a strong presence and notoriety within the country. On the market, other players are trying to heal this giant like Bellamy’s Australia, which is growing its sales by 250%, Danone and China Mengniu Dairy. However, the competitive landscape in the baby products market remains open to new entrants following reform, which will dramatically change the structure of the market and bring new innovations produced. The main source of purchases for consumers remains physical stores such as supermarkets and/or specialty stores for baby products. The E-commerce market has a prominent place in the market thanks in particular to the strong demand for international products. Cross-border e-commerce platforms are frequently used channels for buying this type of goods because product prices are generally cheaper than buying in domestic stores. 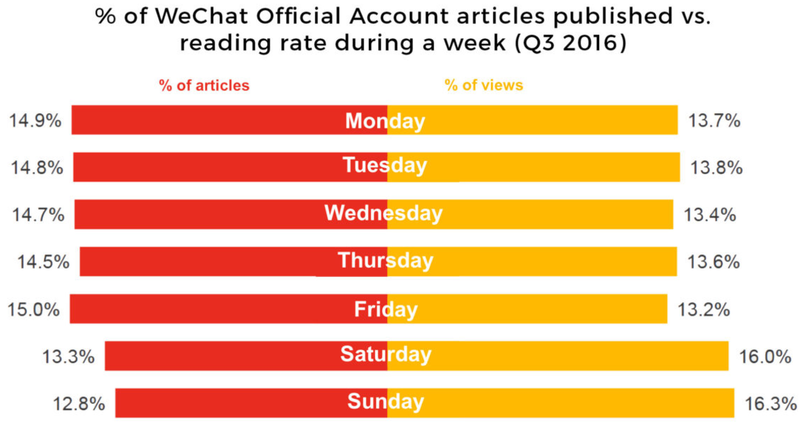 These two channels of distribution are important factors for consumers in terms of information searches. The interest of individuals in supermarkets and hypermarkets lies in the fact that they are a good source of advice and product testing. Mothers in the post-1980s are more likely to find out about the Internet and find the information they need. The babysitting and specialty forums for babies have become a reliable source of information for consumers. Babies are the most fragile and the ablest to grow rapidly. As parents, the need for confidence and reassurance are two important elements in the purchase decision. This confidence will be possible if you develop your visibility in the country. Chinese people are hyper connected, internet and smartphones have become an extension of the person and this is also reflected in the communication strategies of the brands. 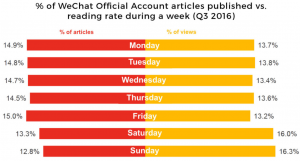 WeChat is a social messaging and instant messaging platform. 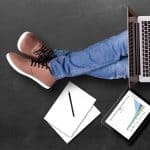 In less than ten years, the application has become a tool for brands to develop their presence on the territory thanks to the size of the users of the application. 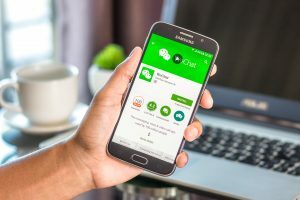 WeChat is usually called in China, “The WeChat Times” because Internet users have become accustomed to performing their internet searches on the network and a lot of information comes from the application. For your brand to integrate social networks, the establishment of an “official account” that can be linked to a “micro site” and a possible option. 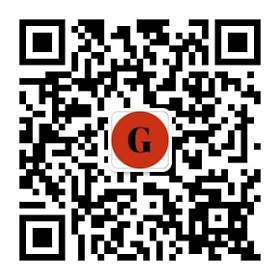 A lot of traffic can be driven to a WeChat page, especially when you incorporate QR code links. Interacting with your prospect target will be a major element to turn them into potential buyers. 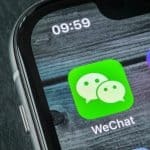 This integration into social networks for brands is done through official WeChat accounts. These accounts will allow you to distribute and share quality content with your prospects. Depending on the account you have, you will have the ability to broadcast 1 to 4 messages per day, so choosing the most appropriate time for message delivery and reaching a large target is important. 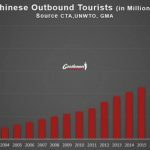 – Ads through KOL influencers Key Opinion Leader take a prominent place in the digital world of China. Partnering with one of them is an effective solution since it is usually a key factor in influencing the choice of individual products. 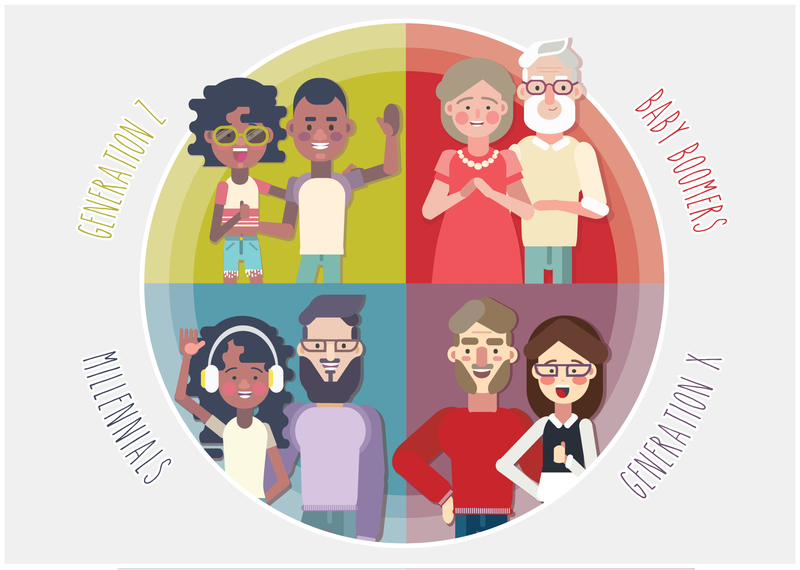 To engage your target too, co-producing communication campaigns on the network is an effective way for your brand, to gain visibility and to be loved by your audience. In our western countries, forums are less and less used to exchange between individuals and even less to promote its brand. In China, the opposite is true. Individuals find comfort in buying their products by visiting forums. Chinese collectivism always resonates in the consumption behaviors of individuals. 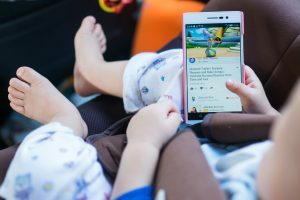 Baby products requiring research upstream of any purchase, consumers are sensitive to other recommendations, testimonials and opinions they can find on this type of forum. Developing your presence on this type of site is therefore a Must to increase your visibility. Target the Chinese Mother ! In this article, we have presented you a way to develop your interests in the Chinese market. It seems appropriate to develop your brand in the first place to let you know and be loved by your target. Cross-border e-commerce platforms like Tmall Global or JD worldwide are another tool that allows you to sell directly to end-users. Moreover, an SEO campaign on the Baidu country search engine is an effective way to also gain visibility. These are basic strategies for developing your strategy. However, between knowing and realizing on the Chinese market there is a wide difference. We strongly recommend you to partner with an actor expert in the market. Who are we and how can we help you? 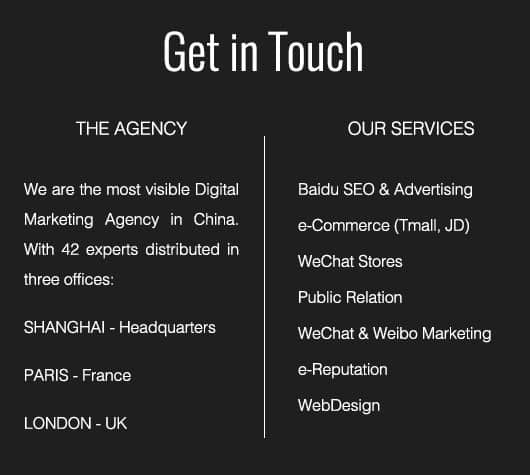 We are a digital marketing company located in Shanghai. Our international team of 25 people allow us to develop your interests and projects in China. Website creation, development and audit of the site. Managing reputation and community development. The creation of monthly reports and analysis by our team of experts. For more information, please contact our team of experts for a more detailed discussion of our offers. We have a building 5 stores including 100 shops in the center of Tehran where the major market is there, so we want to make that building as a major wholesale trade in Tehran so many buyers from all parts of Iran will come and order from us. In Tehran we do not have such a place and we want to sell as wholesale trade there to supply all Iran, also in some other shops we want to run a big shop to sell baby dress and baby articles to individuals. 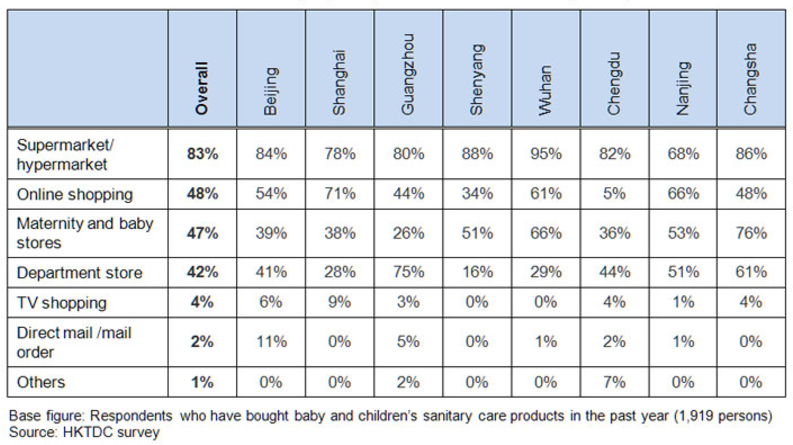 China’s baby personal care market grows at a value CAGR of 19% in five year , what are your case studies Marketingtochina? How much a small brand need to invest in China the first 3 years to succeed in China? How to Sell Baby Food in China ?